Visitation service for Linda Lee Ray Perisho Bridges, 73, West Plains, Missouri, will be held from 6:00 until 8:00 p.m., Friday, January 25, 2019, at Robertson-Drago Funeral Home. 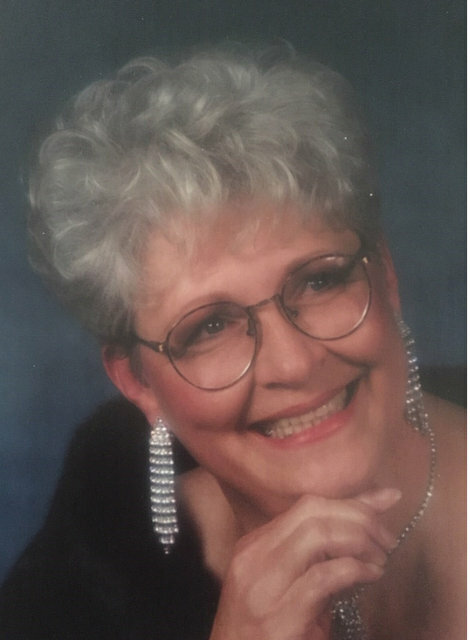 Mrs. Bridges passed away at 11:50 p.m., Tuesday, January 15, 2019, at NHC Healthcare. She was born October 11, 1945 at Minneapolis, Minnesota to Frank Ray and Uva Jordan Ray. Linda graduated from Columbia Heights High School in 1963. She raised her sons, Paul Frank Perisho and Michael Neall Perisho in West Plains. On January 4, 1992, she was married at West Plains, to James Lawrence Bridges, who preceded her in death on June 8, 2001; with this union Linda gained three daughters, Becky Stokes Jarvis, Ginger Tackitt and Cindy Ragland. She and Jim loved camping, traveling and playing bridge with their many cherished friends. Linda loved sewing, crocheting, and watching hummingbirds. Her true joy in life was making memories with her grandchildren. She is survived by one son, Paul Perisho and his wife, Christy and their children Ashley Perisho Jamison and husband, Luke, of West Plains, and Emily and Ryan Perisho of their home in Pleasant Hill, Missouri; Becky and Ron Jarvis, Ginger and Rex Tackitt and Cindy Ragland all of West Plains; one brother, Richard Ray and wife, Barbara of Apple Valley, Minnesota; brother-in-law, Jim Tellor, of State of Minnesota; sister-in-law, Judy Perisho Norton of West Plains; and many grandchildren, nieces and nephews. Her parents, husband, Jim, one son, Michael, one great-grandson, Jamie Stowers, one sister, Jan Tellor, one son-in-law, Mike Ragland and two brothers-in-law, David and Neall Perisho, preceded her in death. Memorial contributions may be made to Children’s Mercy Hospital of Kansas City and may be left at Robertson-Drago Funeral Home. We want to extend our deepest sympathy to each one of you upon the loss of Linda. Each one of you will be in our daily thoughts and prayers. May God comfort, encourage, and support each one of you thru this difficult time. Linda was a very caring person and a wonderful neighbor to us. She adored Corby and was always there to support us which we greatly appreciated. May God bless each one of you.